As the first member of a large family to attend university, academia was always going to be significant to Professor Tim Maloney. While studying Economics, Mathematics and Political Science at undergraduate level at the University of Wisconsin, it was The Worldly Philosopher: The Lives, Times and Ideas of the Great Economic Thinkers by Robert L Heilbroner that specifically captured Professor Maloney’s attention and inspired him to pursue a career in Economics. He completed both a Master and a PhD of Economics at the University, before spending the next eight years teaching in American universities. 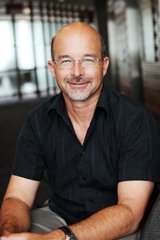 In 1991, he relocated to New Zealand and began a long career at the University of Auckland, as an Associate Professor. Nineteen years later in 2010 he transferred to AUT where he is now Professor of Economics in the School of Social Sciences and Public Policy. In addition to his work in academia, Professor Maloney has also served as an Economic Advisor to the New Zealand Treasury, helping to develop formal mechanisms for evaluating the impact of economic reforms, and creating strategic long-term research programmes in key policy areas. He has been a Researcher at the Institute of Policy Studies and a Visiting Professor at the Institute for Research on Poverty at the University of Wisconsin. Other significant contributions include serving on the editorial boards of several journals, working as Director of Law and Economics Consulting Group, a Research Affiliate at Motu Economic and Public Research, and the Centre for Law and Economics at the Australian National University. Professor Maloney is currently a Co-Director of the Centre for Social Data Analytics at AUT, and the Chief Economist at the Ministry of Social Development. He teaches labour economics, econometrics and microeconomic theory at undergraduate and postgraduate level . Professor Maloney is a co-director of the Centre for Social Data Analytics, an AUT research centre focused on data analytics for social impact.